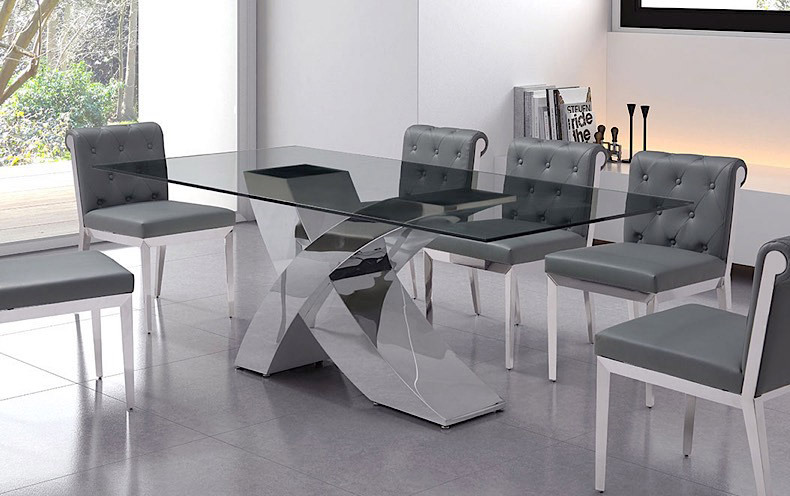 Add stunning modern style into your dining space with our X Glass and Chrome Dining Table. Designed with an asymmetrical "X-shaped" base, X's high-polish stainless steel base callw immediate attention to its striking presence. 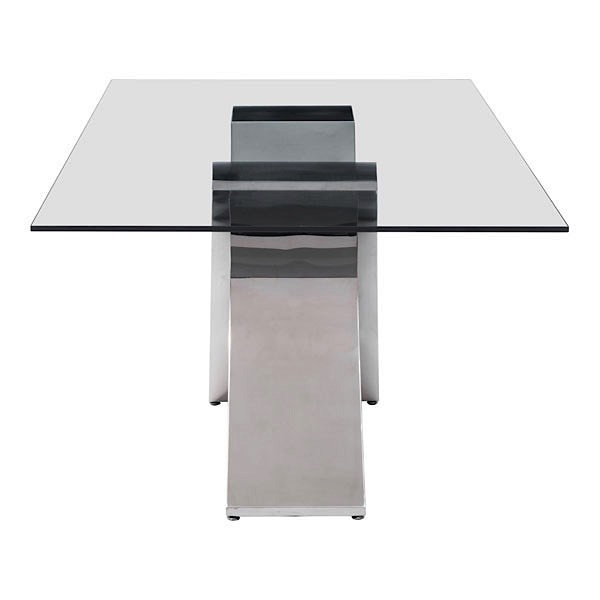 On top, the X Glass Dining Table goes simple - a rectangular clear glass top adds high-end formal sophistication. 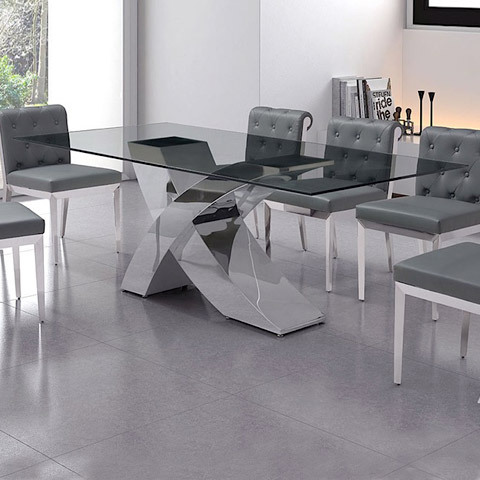 Our X Glass Dining Table adds contemporary lines and bold materials to your home, all in a bold modern dining table that seats up to eight with ease! Add a cool white lacquer sideboard to complete your dining space, or go for a contrast with one of our classic wood designs. Either way, X is an easy addition to your home today!